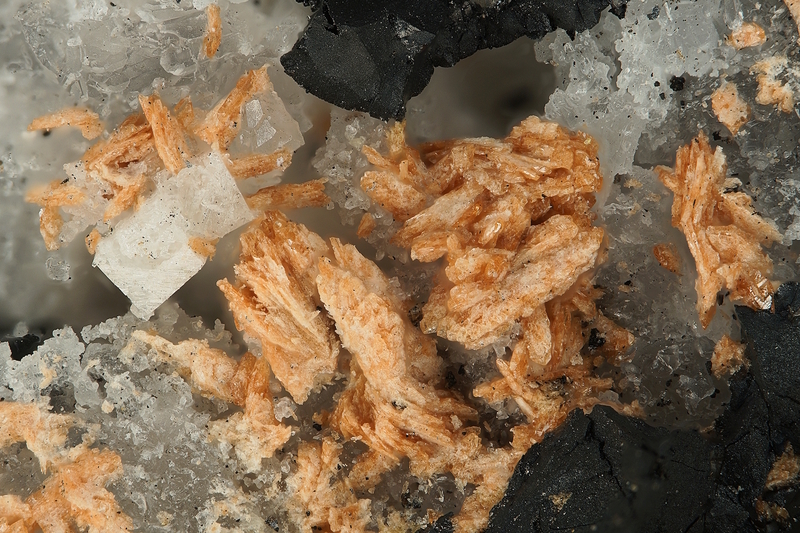 Cabalzarite: Mineral information, data and localities. Named by J. Brugger et al. 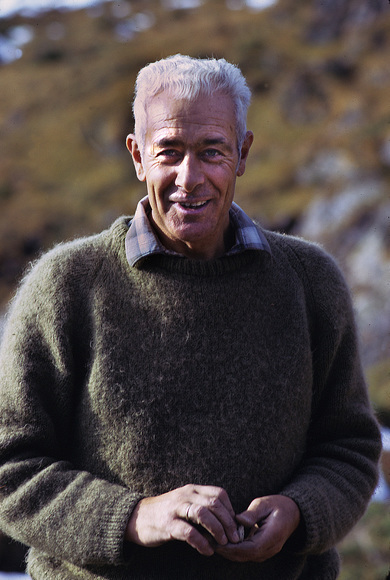 in 2000 in honor of Walter Cabalzar (1919 - 2007), amateur mineralogist from Chur, Switzerland, who contributed to the mineralogy of the Graubünden canton. He discovered the new minerals grischunite and geigerite from Falotta, his favorite locality. Isolated crystals (to 1 mm), complex polycrystalline aggregates, (to 2 mm), fibrous to tabular crystals forming radiating aggregates (to 5 mm), and aggregates of parallel needles filling veinlets. Musée Cantonal de Géologie, Lausanne, Switzerland, MGL73785 (holotype). Naturhistorisches Museum, Basel, Switzerland (cotype). 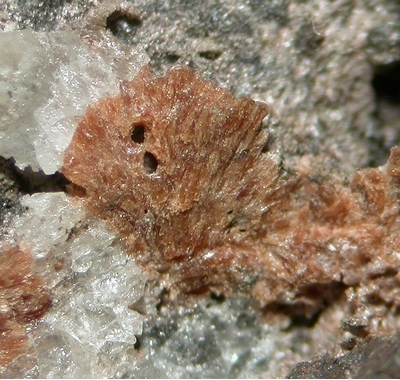 Tripuhyite 1 photo of Cabalzarite associated with Tripuhyite on mindat.org. Ranciéite-Takanelite Series 1 photo of Cabalzarite associated with Ranciéite-Takanelite Series on mindat.org. Brugger, J., Meisser, N., Schenk, K., Berlepsch, P., Bonin, M., Armbruster, T., Nyfeler, D., Schmidt, S. (2000) Description and crystal structure of cabalzarite Ca(Mg,Al,Fe)2(AsO4)2(H2O,OH)2, a new mineral of the tsumcorite group. 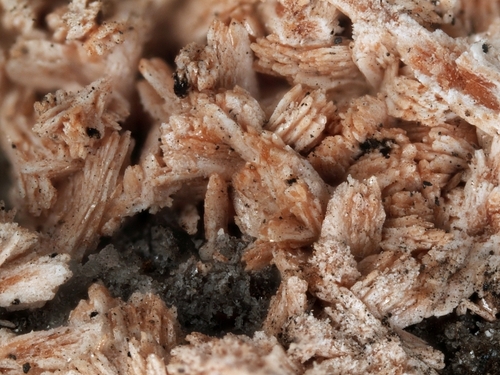 American Mineralogist: 85: 1307–1314. Meisser, N.; Brugger, J.; Krivovichev, S.; Armbruster, T.; Favreau, G. (2012): Description and crystal structure of maghrebite, MgAl2(AsO4)2(OH)2•8H2O, from Aghbar, Anti-Atlas, Morocco: first arsenate in the laueite mineral group. European Journal of Mineralogy 24, 717-726.